It seems that Samsung and Apple products have more in common than the lawsuits suggest! Last week we heard that Apple's iPhone had an issue with a lockscreen bypass and look what the Galaxy S3 has: a lockscreen bypass. ZDNet has a guide if you want to try it out, we got it to work once, but haven't been able to since! Hopefully Samsung will be quick with a fix! The XperiaBlog believes that Sony is set to launch the Xperia L this summer. One of their 'reliable sources' believes that there will be a 1GHz dual-core processor paired with Adreno 305 graphics which will power a 4.3-inch FWVGA, that's 480x854p resolution display. Other than that there's an 8MP Exmor RS camera , 8GB of internal storage, microSD memory card support and a 1700mAh capacity battery all expected to arrive with Android 4.1.2 Jelly Bean running the show! Samsung have invested $110 million in Sharp for a three percent stake in the company. This gives the South Koreans access to some of Sharp's IGZO screen tech, their television screen tech and it gives them a small hand in one of Apple's biggest screen suppliers! Spotify have confirmed that they do not have any immediate plans to release an app for BB10 devices! Samsung are reportedly working on a new 5.9" oled panel for a new phablet. This rumour is from the Korean Times so take it with a pinch of salt, but this could indeed be in the Galaxy Note 3 because the trend of bigger and bigger screens isn't quite done yet! HTC had a disappointing February 2013 too! The guys from Taiwan scraped in NT$11.4 billion ($390 million), down from NT$15.54 billion ($520 million) in January. So for the first two months of this year HTC have earnt NT$26.9 billion ($910 million), down over $300 million dollars from the same period last year! Fingers crossed the HTC One turns things around, otherwise we're not sure what'll happen to HTC! We've realised that Samsung are dominating today's news by this point, but alas the South Korean giants have cancelled Windows RT tablets in some parts of Europe, claiming that the demand simply isn't there! Germany is a likely to get their ATIV tabs withdrawn and 'select other countries' will face the same fate too! 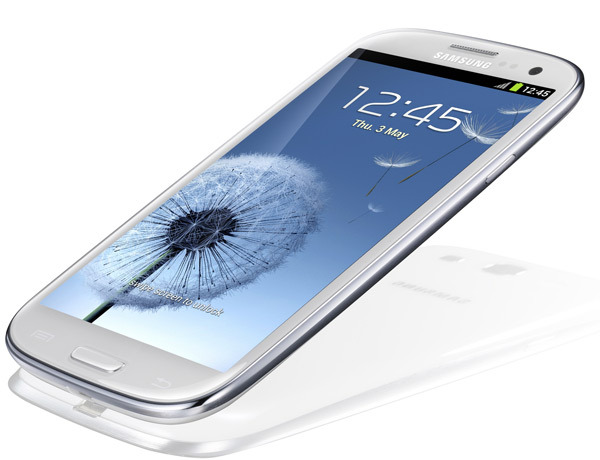 Verizon have released an update for the Samsung Galaxy Stellar today! The update brings the mid-range phone onto Android 4.1 Jelly Bean and adds numerous other features such as support for 64GB MicroSD cards! The update is over 400MB so we highly recommend using WiFi for this downlaod! You can check out the instructions here! And finally, Google has decided to celebrate the Play Store reaching its first birthday with a sale! There's a selection of apps available for discounted priced every day, as well as movies, books and some magazines too so keep checking your Google Play for more deals!